The Ferrari 458 Italia’s replacement may need a name change, because it’s engine may very well shrink from the current car’s 4.5-liter V8 to a small-displacement, turbocharged V6. At a Ferrari press event last week, CEO Amedeo Felisa hinted that the next 458 will lose a couple of cylinders, PistonHeads reports. Specifically, Felisa said Ferrari will be spending half of the 250 million euros it has allocated for Research & Development over the next five years on cutting emissions and boosting fuel economy. Those sound like irrelevant issues for customers of a company like Ferrari, but with tightening emissions and fuel economy regulations in Europe and the United States, the Prancing Horse will have to pay attention. Felisa also said that going green will not affect Ferrari’s core mission of bringing Formula One tech to the road. That’s where the V6 comes in. F1 is expected to start using turbocharged V6s next year, and Felisa said it normally takes four or five years for F1 tech to transition to road cars. 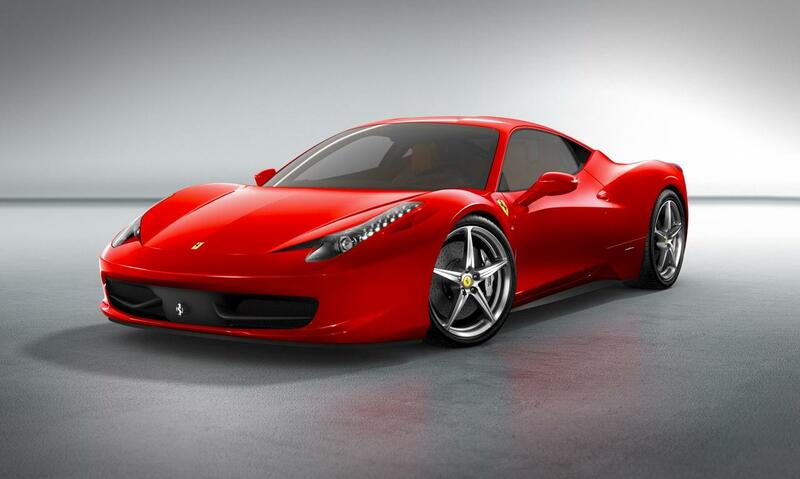 The 458 Italia’s replacment is due in four or five years. Coincidence? This involves more than a little speculation. Still, a turbocharged V6 would make the 458’s replacement greener while employing some genuine F1 tech, without resorting to the pricey hybrid system from the LaFerrari hypercar. Ferrari is also building the twin-turbocharged V6 for the upcoming Maserati Ghibli, so building a turbocharged engine of its own won’t be a huge technological leap. The scheme may seem like a downgrade, but Ferrari is no stranger to V6 engines, or turbochargers. The Dino 206 GT and 246 GT/GTS used 2.0-liter and 2.4-liter V6s, respectively. Ferrari also built a V6 for the Lancia Stratos. Like nearly every other carmaker, Ferrari also went turbo-crazy in the 1980s. To get around Italian tax rules, it built the 208GTB, with a 2.0-liter turbocharged V8. It also employed turbochargers to give the 288 GTO and F40 their ungodly power. We won’t see the 458 Italia’s replacement for a few years, but we wouldn’t be surprised if it did have a turbocharged V6 under its glass engine cover. Is downsizing the right move for Ferrari? Tell us in the comments.